SUPREME NUDGE is a 5-year project financed by the Dutch Heart Foundation and ZonMw, a Dutch national funding body for medical and health-care related research. 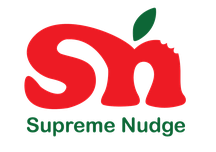 With SUPREME NUDGE we expand a previous successful Dutch supermarket pricing strategy intervention, and incorporate promising elements such as nudging and ICT applications to provide real-time and context-specific physical activity feedback. Targeting the environment in which health behaviour choices are made in can reduce cardiometabolic risk. Supermarkets form one of the most important point-of-choice settings with the potential to directly influence purchasing behaviors. ‘Nudges’ (small environmental encouragements) target the quick, automatic choices and do not require conscious decision making, and pricing strategies can seduce consumers to buy healthier alternatives. Such environmental cues can make it easier to initiate and maintain a healthy lifestyle, and as such, to improve cardiometabolic health. In addition, the use of theory-based mobile applications is an effective way to provide tailored and context-specific feedback on physical activity behaviors through the stimulation of ‘goal setting’ and ‘self-management’. We will investigate the effects of this approach on dietary behaviours, physical activity and established cardiometabolic risk factors in adults with a lower socio-economic status. Using principles from Participatory Action Research and systems thinking, we will consult with the relevant stakeholders to explore options for upscaling and further implementation in society. Outcomes will provide policy- and practice relevant evidence with clear, stepwise and realistic leverage points for helping individuals to maintain healthy behaviors and improve their cardiometabolic health by making the healthy choice the easy choice. SPOTLIGHT is a European Commission funded research project that started in 2011. A systems approach was adopted across several independent but inter-related work packages. This was done by identifying mediators of successful outcomes in individual-level obesity interventions, by reviewing the state of evidence on social and physical environmental factors related to obesity, and evaluating the reach, effectiveness, adoption, implementation and maintenance (RE-AIM) of multi-level interventions reported on in the scientific literature, but also of multilevel initiatives that lacked a theoretical basis and were not conducted as part of scientific research. We also conducted qualitative analyses of enhancing and impeding factors relating to these multi-level interventions. Outcomes of work packages were used to inform the design of a cross-European survey and a virtual neighbourhood audit, aimed to gain understanding of the ways in which diverse factors influence the weight status of individuals, underlying obesogenic behaviours, and the social and physical environmental contexts in which they take place, within a cross-European perspective. In this project we are collaborating with Sanquin Donor Studies, and focus on environmental determinants of lifestyle behaviours and their effects on blood parameters. DEDIPAC is a Knowledge Hub; a multidisciplinary consortium of scientists with currently nearly 300 researchers from 68 research centres in 12 countries across Europe. The objective of the DEDIPAC KH is "to understand the determinants, at both the individual and group levels, regarding dietary, physical activity and sedentary behaviours using a broad multidisciplinary approach, including biological, ecological, psychological, sociological, economic and other socio-economic perspectives and their interrelationships, and to translate this knowledge into a more effective promotion of a healthy diet and physical activity." Although many environmental change interventions are being implemented in the Netherlands, it is unknown what kind of barriers and facilitating factors are associated with successful adoption of these interventions. 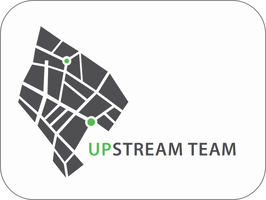 With this project -which has been completed recently- we aimed aimed to determine success and failure factors for implementation of environmental changes to improve physical activity and healthy eating in residents of deprived neighbourhoods. In addition we aimed to explore the perspectives of these residents: How they used their direct environment with regard to physical activity and dietary behaviour, and what environmental changes were required to improve these behaviours. The EMGO+ Institute initiated and funded the GeoHealth Cohort Consortium (GECCO). In GECCO, databases of six large-scale and ongoing cohort studies within the EMGO+ institute have been enriched with a variety of existing geo-data. The GeoHealth Cohort Consortium stimulates large-scale research studies on environmental impacts on health in the Netherlands. In particular, the collaboration between cohort studies within this consortium is of added value, because it increases power of analyses and makes analyses on specific subgroups possible.